What is the Best Compatible Toner Cartridge? One of the most commonly asked questions is who is the best compatible toner manufacturer in Australia. Over the years there have been so many compatible toner companies come and go however due to the fierce competition it has resulted in some much higher quality products being produced. No longer do you have to settle for paying the big dollars that the Brand Name toners are asking as the new era of compatible toners are exactly the same quality at a fraction of the cost. Although there has been this huge leap forward in toner quality there are still a large amount of online stores still flogging low grade generic brands which have been around for years. When considering purchasing a compatible toner cartridge we strongly recommend that you do your homework first as you cant always believe all of the promises that many online shops offer. One of the first things we advise is to look at the stores "Google Reviews". In my opinion the Google reviews are the only reviews worth trusting. They cannot be manipulated by the store owner as most of the other review sites allow. Secondly before you make a purchase ring the company and ask them why they should trust your company and also what makes their brand of compatible toners better than the rest. Also grill them about their guarantees and find out what happens when things go pear shaped. So what is the best brand of compatible toner cartridges? I'm glad you asked. At Ink Hub we honestly believe that our Compatible Toners are the very best in Australia. Sure you can buy cheaper but why try to save a few dollars at the expense of print quality, page yield, rock solid guarantees and the absolute best customer service. Wether your'e after the best compatible toner for Brother, Canon, HP, Xerox or any other brand of printer we guarantee that you wont find better quality than the Ink Hub range. How did Ink Hub come to source the best generic toners? Once again I'm glad you asked. Over the past 10 years we have tediously tested almost every brand of Generic cartridge in order to make sure that our customers get the absolute best quality products. Sure we had some major issues in the early days trying to find the most reliable toners and inkjet cartridges but after years of testing we now have the quality products that equal the genuine OEM toners. Yes that is right we dont sell a toner cartridge that simply works and is cheaper than the OEM, we sell toners that equal or exceed the print quality and page yield and if you dont agree with our claim then our Money Back Guarantee is there for you to call on. The most common of all problems with compatible toners is that the vast majority of them actually leak toner powder. This is such a common issue with a large percentage of generic toners as often they are simply remanufactured and not all of the internal parts get replaced. The problem with a leaking toner cartridge is that it very quickly contaminates the drum unit and once this occurs all future prints become dirty looking. Another common problem with poorly remanufactured toners is that they dont replace the wiper blade. This also contributes to lines or scrape marks appearing on the image as the wiper blade doesnt properly remove the excess toner powder. 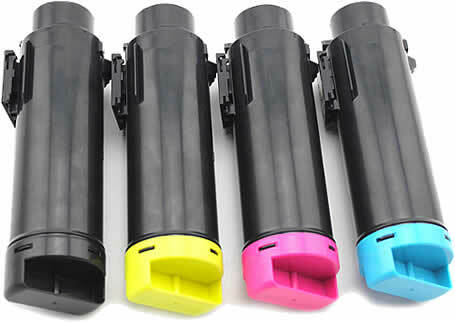 For a more comprehensive list of toner cartridge issues have a read of the following article - toner cartridge problems. So what is Ink Hub's Guarantee and can it be trusted? How many times have you tried to claim on a warranty and found out that it wasnt worth the paper it was written on? I know Iv'e been duped a few times. At Ink Hub rest assured that we wont relax untill any issues are resolved. Let me just repeat our philosophy to you so that were all on the same page. Out toners are the best generic toners on the market, I am very confident in saying this. If for any reason you are not 100% happy with your products then we offer a full refund or replacement, we wont mess you around like other companies do. In the past 14 months we have sold a tonne of compatible toners and in that whole time we have only had one faulty toner. That is a fact and the toner wasnt actually faulty it was the actual microchip on the toner that was at fault. With this customer we simply sent him a replacement toner that same day. So if you are serious about compatible toners then give us a call and we will be happy to talk to you about our amazing range of generic toners and answer any queries which you may have. Our biggest selling compatible toners are the Brother toners. Popular models such as the TN2250, TN2350 and the Brother TN251 / TN 255, TN240 and the TN346/348 series toners. We also sell the full range of Compatible Drum Units which are a great deal cheaper than the Brother OEM Drum units. The print quality is exactly the same.